This is how the Circuit de Francorchamps looks from above. A circuit deep in the forest and country side. 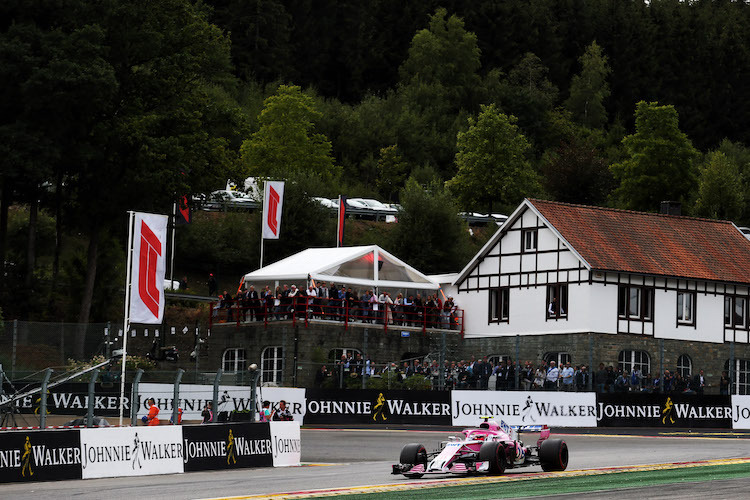 Circuit de Spa-Francorchamps is located to the East of Belgium, close to the German border. The nearest international airport is Brussels. Cologne airport on the other side of the German border is also close by. Brussels has two airports. Brussels Zaventem (BRU) is 12km northeast of Brussels, and Brussels South Charleroi (CRL) is 5km from Charleroi and 46km from Brussels. There are regular buses, trains and coaches to Brussels North, Central and South from both of these airports. From Brussels central station, you can take a train into Spa or Verviers and then transfer to the circuit. A regular shuttle bus runs between Verviers train station and the entrance of the circuit over the Grand Prix weekend. You could also take a train to Liege, where many buses depart to the circuit. There is also a free coach service offered on the Sunday from a number of cities, available to Sunday-only ticket holders. (You have to book your coach pass at the same time as booking your entry ticket). However, getting to the circuit is easiest by road. For those driving, Belgium is connected to the rest of Europe by an excellent network of motorways. Take the E42 or E25 to the circuit. Please can you advice me where I can park my motorcycle hopefully for free close to the track for the 2018 Spa F1 weekend as there will be 2 X couples traveling by motocycle and has the track only has car parking options at £16 per day per bay and have told me we won’t be allowed to put both bikes in one bay l am seeking advice on any other motorcycle friendly parking locations.